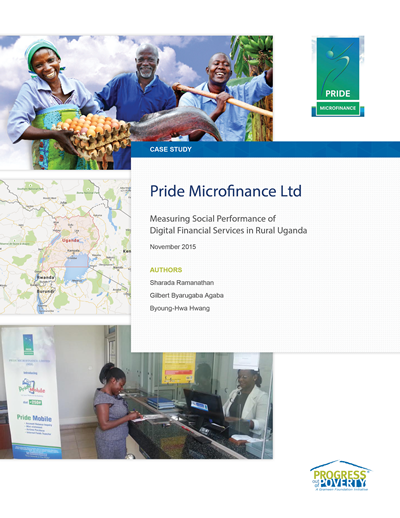 This case study provides an overview of why Pride MDI chose to adopt the PPI, and articulates the organization’s challenges and learnings as it moved from piloting the PPI to integrating the tool into its core banking system and across all its branches. It also details how the organization intends to use PPI results going forward, to understand if its services are actually reaching poor clients, and to improve its services to better meet their needs. Lessons learned from Pride MDI’s experience will be a great resource for other organizations that plan to use the PPI, particularly those who are considering integrating the tool with their existing information systems.